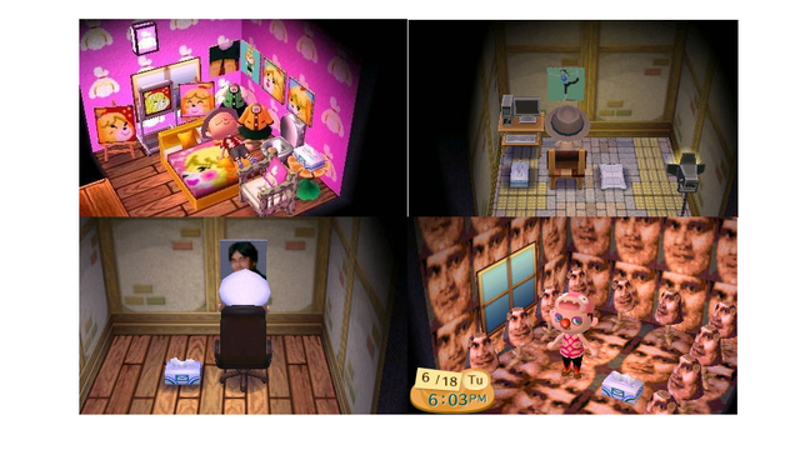 You can decorate your house however you'd like in Animal Crossing...which means that some people have made rooms in New Leaf that are rather creepy judging from these images compiled by Tiny Cartridge. Sure, it could just be overzealous devotion to Isabelle, Wii Fit trainer, Reggie, and Iwata. But notice the tissue box in every single image? Images via Parfait, BGBW, Vinesauce, and Zeer0id.